We wrote this in July 2012 as part of insight conducted for the AGR. Higher Education and Employers have rightly been interested in the new ways of connecting with China. What many weren’t aware of is just how connected China really is. Since 2008, China has accounted for almost a third of new web users. China now has easily more internet users than any other country and the rapid growth in mobile devices means that China will soon be approaching 1 billion mobile internet connections. In just one year (2009-10) the use of mobile web browsing by urban youth jumped from 29% to 41% (Project China 2010). The significance of what China does with the Internet is undeniable. WPP, the world’s largest advertising communications group, emphasise the importance in a very telling way, referring to its global digital strategy as ‘China and the Internet’. In this we see both the huge importance of China but also how it is different enough to achieve equal balance with the word Internet itself. 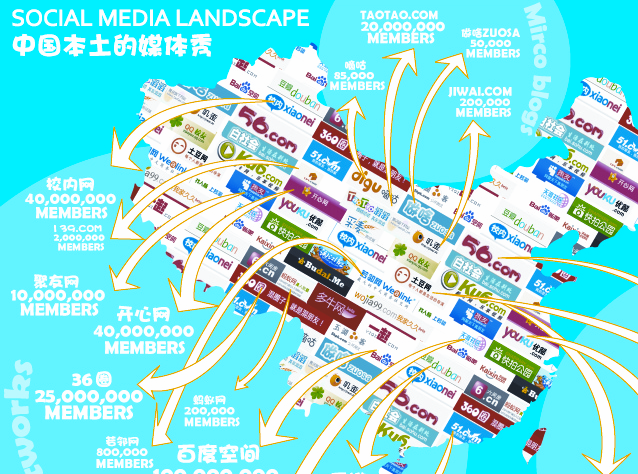 One of China’s leading social media sites is Sina Weibo. It has over 300m registered users and over 100m messages are posted everyday. It could be described as a hybrid of Facebook and Twitter and it stands out prominently as a home for microblogging, owning 86% of browsing time in this world (iResearch Consulting Group). Whilst perceived as more liberated than many other sites, Sina Weibo is still heavily controlled and censored. This has not stopped it becoming a remarkable home of opinion, generating a fluid mass of brain-power not seen anywhere else in the world. The reach of Sina Weibo has enabled huge out-pouring of opinion, even on the most controversial topics. Perhaps the most famous example was the debate, and huge anger, generated by the story of a woman forced into a 7 month abortion of a second child with the distressing story shared across China. As China rapidly becomes the most important global market, more and more people and businesses from around the world will want and need to access to this market. Tom Cruise recently set up a Weibo account and has more than 480,000 followers. Bill Gates is also on Weibo with about 1 million followers as are numerous NBA stars. Harrods recently launched their own service, as part of their Yuan embracing strategy to capture luxury goods focused Chinese consumers. As the number of Sina Weibo users surpasses Twitter’s current user base, we can expect to see many more international opinion leaders following the lead of Tom Cruise. For these opinion leaders, Sina Weibo would be their first and possibly only platform for the China market. This is where both the necessity and opportunity lies for anyone interested in talent acquisition in China. SIna Weibo and the fluid, organic Global Brain Power of the Chinese Internet is available and can be used to listen and to inform. However, remember the differences. This is not Facebook and Twitter. Some industry insiders describe the China v rest of the world Internet dichotomy as the “blood-brain barrier”. That is to say, there is a semi-permeable barrier that will forever and always restrict what can pass between the two. That doesn’t mean you can’t make the most of it.